Mom and Tanner have been very busy practicing this silly game of Fetch lately. The weather here is warmer and Tanner has been back in the pool, the lake, and of course, running at the park. Me? 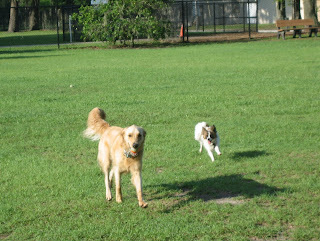 I prefer to visit with the 2 legged sorts and keep out of the way of the big dogs that play so rambunctiously. 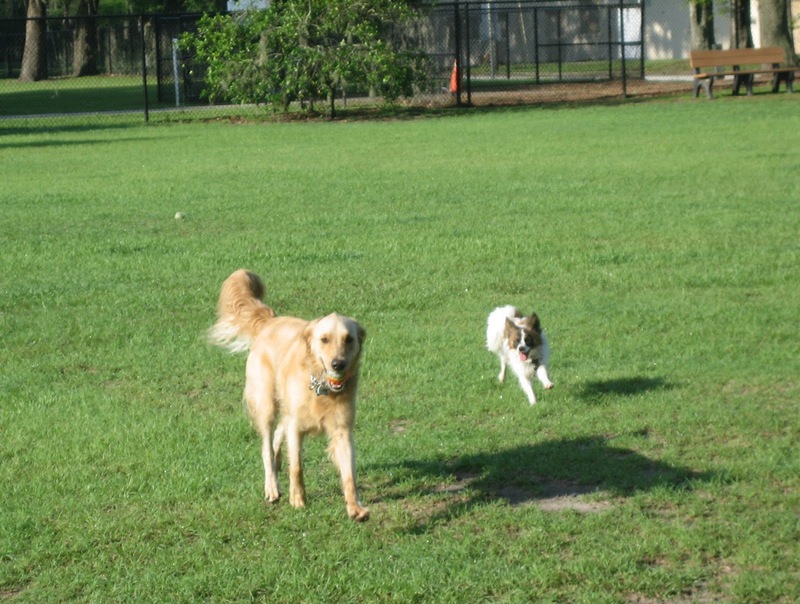 Since mom and Tanner, and even my human brothers and sisters, are having such fun playing this Fetch game I thought I'd let you know they are sharing some tips on teaching the game over at All Things Dog Blog. I'll plug in the whole Weekly Wag activity list below. It's sort of like bonding time for dogs and their families. Before I go, let me share one last tidbit. Mom got a sponsorship for the Fetch training series from Petmate. She's running a giveaway of Floatimals, a toy that floats nicely for water Fetch. Me and Tanner both like this toy. Although it is almost as big as I am, it's super light and I can grab the skinny, flappy things that hang down. It's cool. Check it out here. Maybe you'll get lucky and win one in the giveaway of 10! Good luck. #3 Photo Fun: Say Cheese! 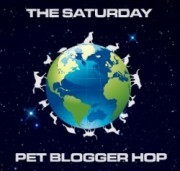 This post is part of the Saturday Pet Blogger Hop hosted by Life with Dogs, Two Little Cavaliers, and Confessions of the Plume. You are welcome to link up here, or check any of their sites for their rules of participation. Happy hopping!